Check out my healthy rendition on a delicious boxed brownie mix. 1. Preheat the oven to the temperature indicated on your box mix. Grease an 8x8 pan (or larger if you prefer thinner brownies). 2. 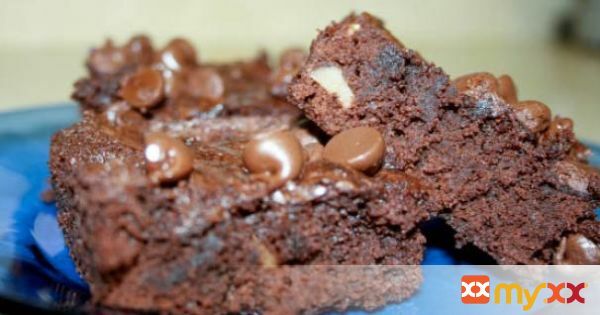 Make the brownie mix according to the directions, replacing the oil or butter called for with coconut oil. 3. Mix in the banana and chocolate chips or walnuts (if you're using them). 4. Pour into your pan and spread into 1 even layer. 5. Bake according to the time indicated on the box (or until an inserted toothpick comes out clean!). 6. Cool completely before cutting and serving.